Chances are, you have had doubts. Maybe those doubts have been about God, yourself, church, work, relationships, the future, or even the Gospel. 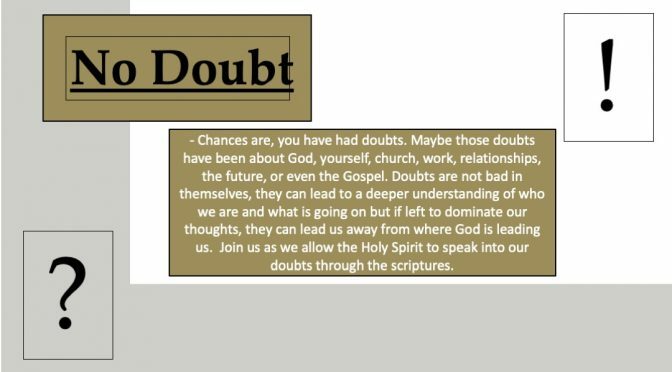 Doubts are not bad in themselves, they can lead to a deeper understanding of who we are and what is going on but if left to dominate our thoughts, they can lead us away from where God is leading us. Join us as we allow the Holy Spirit to speak into our doubts through the scriptures.